This tour will span the refuge in search of the rare and endangered ones. Experts on the species will take you to shady, relatively moist woodlands of oak and juniper to listen and look for Golden-cheeked Warblers. 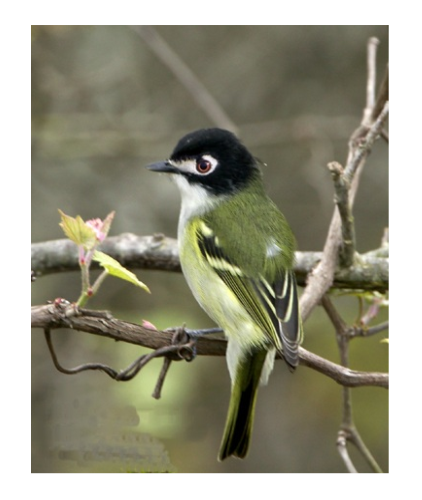 At the other end of the refuge, we will listen for the raspy songs of Black-capped Vireos in and around thickets of scrubby oaks, sumacs, and greenbriars. Along the way we hope to spot other Hill Country birds. To provide environmental news and education to the community, including the Website, programs, San Antonio Natural Areas Second Saturday programs, and other activities. This tour will span the refuge in search of its rare and endangered songbirds. Experts on the species will take you to shady, relatively moist woodlands of oak and juniper to listen and look for Golden-cheeked Warblers. At the other end of the refuge, we will listen for the raspy songs of Black-capped Vireos in and around thickets of scrubby oaks, sumacs, and greenbriars. Along the way we hope to spot other Hill Country birds. ABC's mission is to conserve native birds and their habitats throughout the Americas. Our commitment to bird conservation remains absolute, even while some other groups shift their mission to prioritize people over wildlife. We believe unequivocally that conserving birds and their habitats benefits all other species — including people. Williamson Audubon Group promotes the appreciation of birds by sharing knowledge and experience. Join us as we bird the springs and plateau's of the Hill Country. With a variety of habitats and breeding Golden-cheeked Warblers and Black-capped Vireos on the property, we expect a great list of birds! In addition to the two endangered songbirds, Northern Bobwhite, Cooper's Hawk, Greater Roadrunner, Crested Caracara, Scissor-tailed Flycatcher, Loggerhead Shrike, Western Scrub-Jay, Verdin, Canyon Wren, migrating warblers, a variety of sparrows, Blue Grosbeak and Painted Bunting are possible. The field trip will include walking on uneven, rocky roads and trails. Learn the secrets from an expert. Jane is the Field Trip Committee Chair for the Travis Audubon Society so she knows his way around the local birding sites. Join us for a Meet & Greet at Quetzal Tex-Mex after the events at the Refuge. This tour will span the refuge in search of its two rare and endangered songbirds. Experts on the species will take you to shady, relatively moist woodlands of oak and juniper to listen and look for Golden-cheeked Warblers. At the other end of the refuge, we will listen for the raspy songs of Black-capped Vireos in and around thickets of scrubby oaks, sumacs, and greenbriars. Along the way we hope to spot other Hill Country birds. The permit was issued jointly to the BCP's two managing partners, the City of Austin and Travis County, in 1996, though several other organizations own and manage land dedicated to the BCP. Ultimately, the goal is to set aside 30,428 acres in western Travis County as habitat for eight endangered species-two neotropical migratory songbirds and six karst invertebrates-and 27 species of concern. Native wildlife and plant species are a top management priority for the Balcones Canyonlands National Wildlife Refuge. The refuge strives to protect, restore and enhance habitat for the benefit of all native species, endangered or otherwise. Join us as we bird springs and plateau's of the Hill Country. With a variety of habitats and breeding Golden-cheeked Warblers and Black-capped Vireos on the property, we expect a great list of birds! In addition to the two endangered songbirds, Northern Bobwhite, Cooper's Hawk, Greater Roadrunner, Crested Caracara, Scissor-tailed Flycatcher, Loggerhead Shrike, Western Scrub-Jay, Verdin, Canyon Wren, migrating warblers, a variety of sparrows, Blue Grosbeak and Painted Bunting are possible. The field trip will include walking on uneven, rocky roads and trails. Did you ever wonder why some birds sit on a wire and others stay hidden in the foliage? Come spend a few hours at the Refuge Headquarters and watch birds come and go and interact with each other. You will learn some of their more common behaviors and why biologists believe they do them. Chairs, binoculars, and bird books will be provided for participants. You can enjoy birding and learn bird trivia in a relaxed atmosphere. Some of their behaviors may even help you identify them. All skill levels are welcome and this “trip” is handicap accessible. Learn the secrets from an expert. Dennis is the Field Trip Committee Chair for the Travis Audubon Society so he knows his way around the local birding sites. Pre-order lunch on Saturday and attend the Lunch talk on local birding areas. Want a unique experience to improve your birding skills by learning bird songs? According to the following description written by one of Jeff’s previous tour participants, this tour is for you! Seeing birds while they sing is a great learning experience. "Pull over, I just heard our bird." What? Within 30 seconds the bird we were searching for is perched atop a bush, singing away. "How'd you do that?" I asked incredulously. "Well, he told me!" One of the great experiences of birding is to be able to identify birds before you even see them! Yes, it's challenging, but so much fun, and the satisfaction is enormous. Wherever there are birds, there are bird songs! Bird songs and other vocalizations provide a wealth of information that birders can use to quickly identify familiar birds, distinguish between closely related species, and perhaps decipher some of the more complex communications that go on between birds. Jeff Patterson can get you started in quickly identifying many of the birds of central Texas. Jeff’s tour alternates between brief discussions of birdsong, and listening to (and yes seeing) the springtime birds that vocalize at the refuge, while taking a hike through the beautiful landscape behind Refuge Headquarters. You will be a better birder after just one class, honest! Targets: Painted Bunting, Blue Grosbeak, Ladder-backed Woodpecker, Purple Martin, White-eyed Vireo, Summer Tanager, Eastern Phoebe, Blue-grey Gnatcatcher, Carolina Chickadee, Black-crested Titmouse, Carolina Wren, Bewick’s Wren, Northern Cardinal, Scissor-tailed Flycatcher, Chipping Sparrow, Field Sparrow and (possibly) Golden-cheeked Warbler. This tour will span the refuge in search of its two endangered songbirds. Experts on the species will take you to shady, relatively moist woodlands of oak and juniper to listen and look for Golden-cheeked Warblers. At the other end of the refuge, we will listen for the raspy songs of Black-capped Vireos in and around thickets of scrubby oaks, sumacs, and greenbriars. Along the way we hope to spot other Hill Country birds. This trip will explore areas on the refuge where biologists have implemented large-scale experiments to learn best practices for habitat management. One area includes a 30-acre white-tailed deer exclosure, where scientists have studied the combined effects of fire and deer herbivory on native woody species. This area will have common woodland species such as golden-cheeked warblers, black-and-white warblers, and summer tanagers. Another area we will visit is a grassland that has been burned at different seasons during the year to determine if conducting prescribed burns at certain times of the year may selectively favor native grasses over invasive King Ranch bluestem. Here we will listen for northern bobwhites and other grassland birds and dig into how this research is one key to the conservation of these species.greenbriars. Along the way we hope to spot other Hill Country birds. It is possible to register multiple participants for individual field trips or events. It is possible to register for multiple field trips/events under one transaction. AND even join as a member. You can pay by PayPal, credit card or check (MANUAL) using online registration. However, if paying by check, your registration will not be confirmed until payment is received. Many of these field trips do sell out. If you would like to be placed on a waiting list, use the waitlist option. Once tours are confirmed, we will do our very best to minimize changes, however, the schedule and tour leads are subject to change. You will be notified of updates as soon as they become available. There are no guarantees with respect to Hill Country weather. WE WILL SEND TOURS OUT REGARDLESS OF RAIN OR TEMPERATURE. Some may be delayed but we will keep the tours within the same day of the event. Call (512) 636-3874 for an update, but be prepared to leave on schedule. The Refuge is an unimproved, semi-wilderness state. By submitting your registration, you assume full responsibility for all loss, damages, harm, or expenses incurred by you. You may cancel up until April 6, 2019 and get a refund. Your electronic refund may take up to 5 business days, checks may take longer. After April 6, 2019 there will be no refunds.